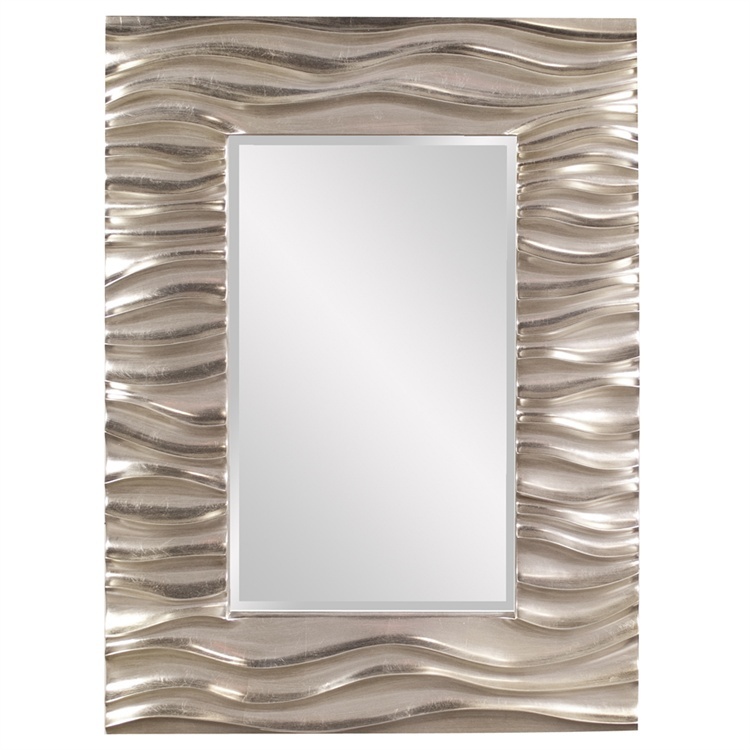 Our Zanesville Mirror features a rectangular frame that is characterized by a deep textured wave design. The waves give an interesting movement to the piece. It is then finished in a bright silver leaf finish. The mirror is beveled adding to its style and beauty. It is a perfect focal point for any design. Hang in either a vertical or horizontal orientation. Customizable for larger orders.